Peggy's Point Lighthouse on a stormy day in May at Peggy's Cove near Halifax, Nova Scotia, Canada, was first erected in 1868. Peggy's Cove is one of the most popular tourist spots in Nova Scotia and the lighthouse may be the most photographed in the world. 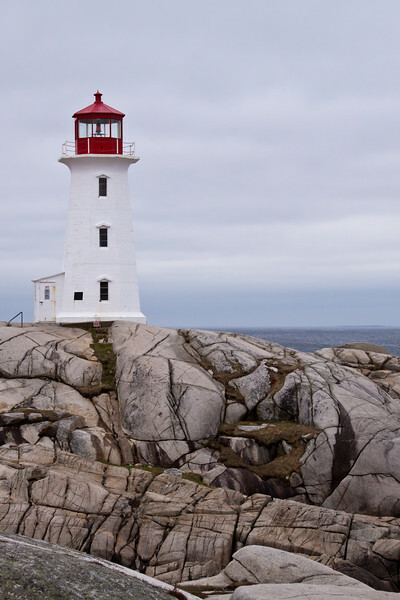 It is often called (incorrectly) Peggy's Cove Lighthouse.